Providenciales Island (more commonly known as "Provo") is the largest island in Turks & Caicos archipelago, located just Southeast of the Bahamas. 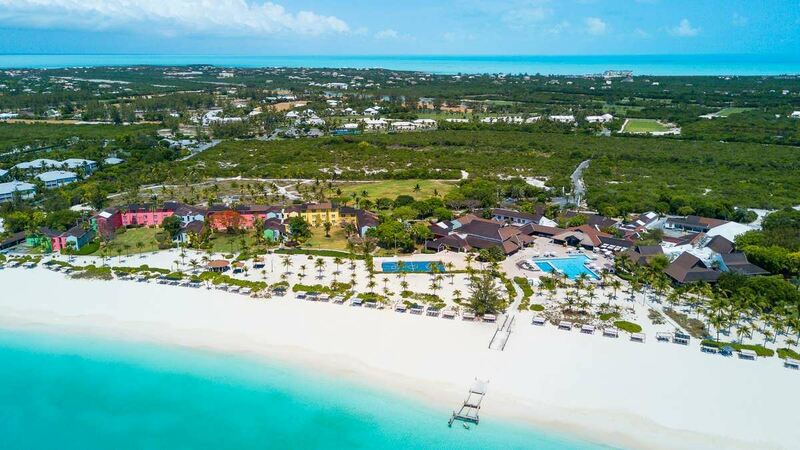 Surrounded by long white sand beaches lining the turquoise waters of the Caribbean, Provo's 14 mile long Grace Bay has been ranked "Best Beach" by Conde Nast magazine and the World Travel Awards for several years. The beach slopes gently into shallow water, perfect for swimming and water sports. Full Package Price: $1,499 or $1,049 (ground only). Add $450 for a single room. NOTE that participants who signed up for the previously scheduled Halloween trip will receive a $200/pp travel credit. Through February 21, 2018, a $50 cancellation fee is assessed. After February 28, 2018, $50 plus all unrecoverable expenses if a replacement is not found. If sign-up is after March 21, 2018, full payment is due immediately. Register online, then submit a $250 deposit or payment in full. Contact Gary for more information. Once your deposit is submitted, you will receive a confirmation email with additional information.